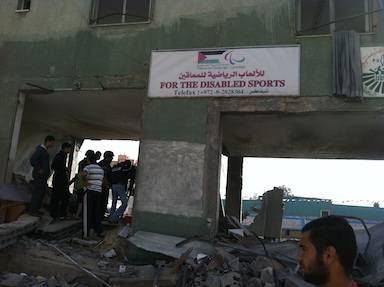 November 22 – The headquarters of the Palestinian Paralympic Committee has been completely destroyed following heavy shelling in Gaza. The missile attack is a result of the bloody conflict in the region between Gaza and Israel that has left more than 160 people killed. Although a ceasefire has now been reached in the short-term, the last week has seen Israeli forces keep up air strikes which they say are aimed at stopping rocket attacks against them. As well as the main Palestinian Paralympic Committee offices, other major sporting infrastructure including a stadium and sports complex where the Palestine team prepared for London 2012 has also been completely wiped out by the bomb attacks. Palestine has taken part in the Paralympic Games since Sydney 2000 and were represented at the London 2012 Paralympics by Khamis Zaqout and Mohammed Fannouna in athletics. Palestinian Paralympic Committee President Akram Okeh has referred to the bombings as a barbaric act. 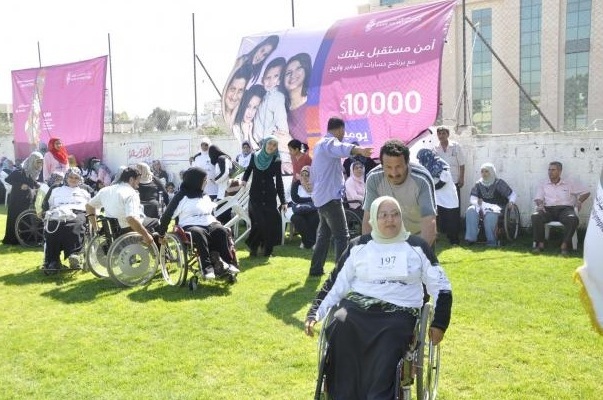 However, he has informed the International Paralympic Committee (IPC) that the Palestinian Paralympic Committee intends to rebuild the stadium and committee office. The attacks have already forced the European Olympic Committee (EOC) to move its General Assembly and Executive Committee Meeting next month from Israel to Italy. The Israeli city of Eilat was scheduled to host the EOC’s high-profile meetings on December 7-8. But the EOC has revealed that both meetings will be moved to Rome after several National Olympic Committees made it clear they would not travel to Israel with the bloody conflict going on.